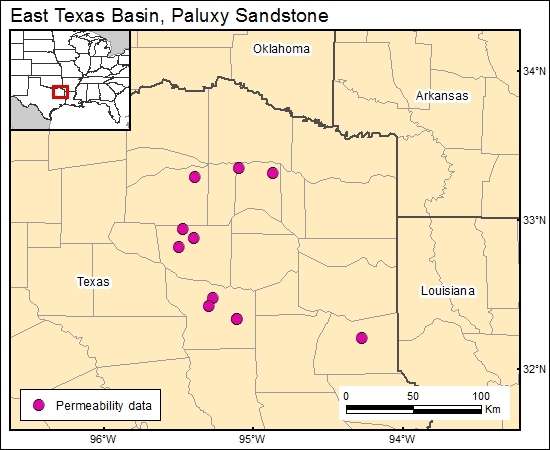 Permeability data were extracted from the oil-field data base of Holtz (1997). These data were extracted from Railroad Commission of Texas files and normalized to hydraulic conductivity. Holtz, M. H., 1997, Oil atlas data base of major Texas reservoirs: The University of Texas at Austin, Bureau of Economic Geology, Internal Report.